Private sector writes off 50% of Greek Government debt. EFSF bailout fund scaled up to 1 trillion. European Banks to be recapitalized with 100 billion euros. 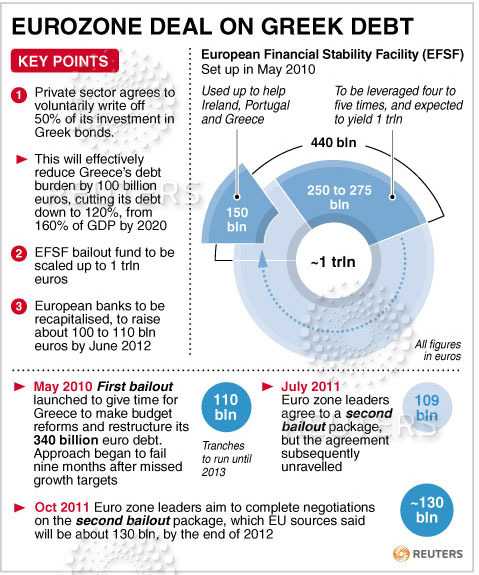 Second bailout-package for Greece is 130 billion euros with EFSF-money, instead of 109 billion agreed in July 2011.